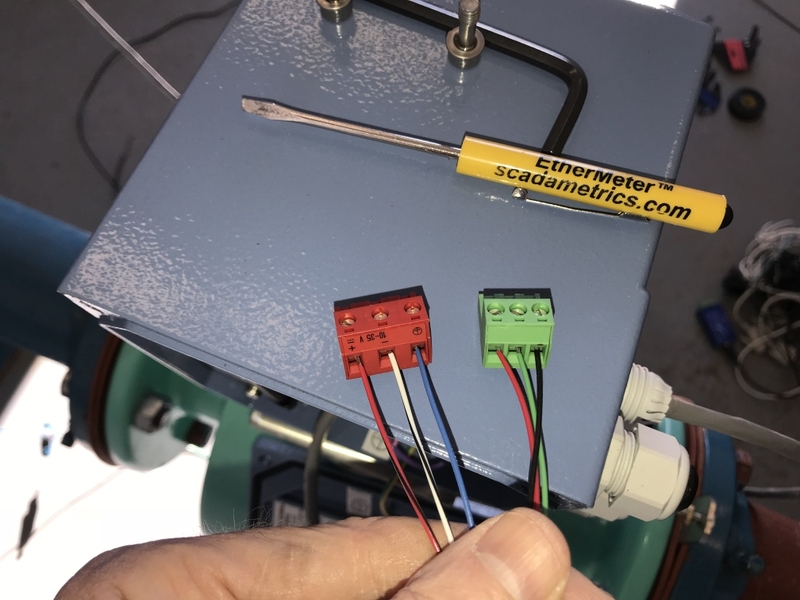 The UltraMag, by McCrometer (Hemet, CA), is an excellent Magnetic Flowmeter for water and wastewater applications; and this article illustrates the installation and commissioning of a 3 inch UltraMag, which is then tied into the host SCADA System through a SCADAmetrics EtherMeter® using the Modbus/RTU (RS-485) protocol. 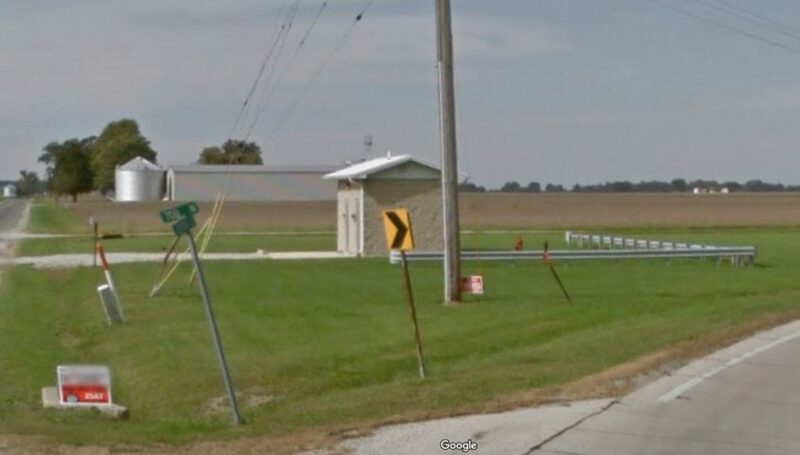 The venue is a custody-transfer valve & metering station, where a large regional water district sells water to a rural municipality. 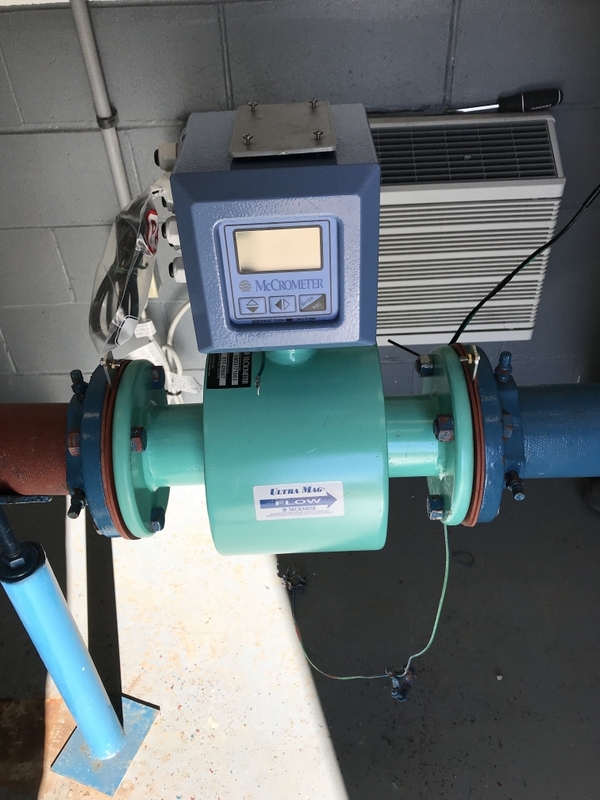 The station’s meter readings and flow-rates are continuously tracked for the purposes of both operations monitoring and billing; and therefore SCADA readings that match the transmitter readings are absolutely required — often referred to as revenue-grade accuracy. 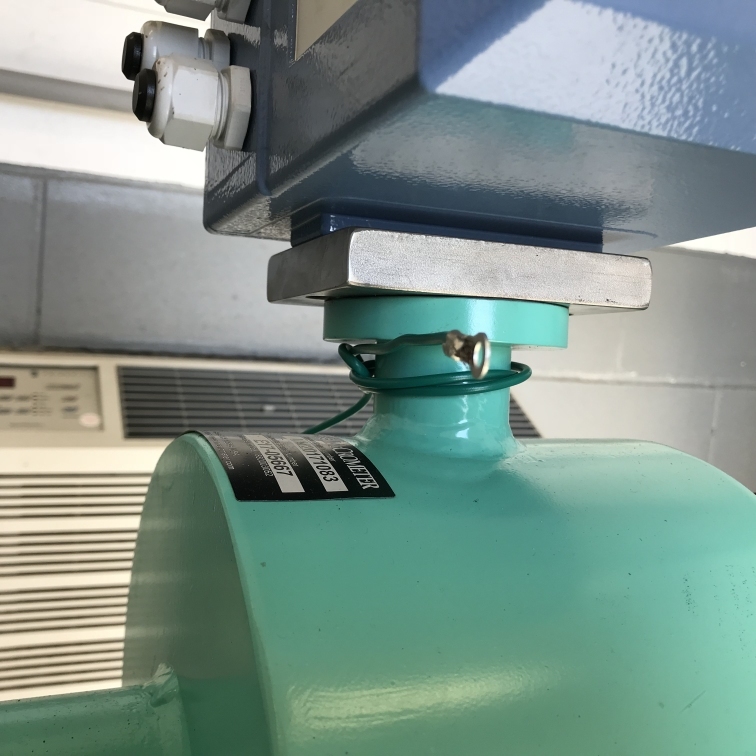 A legacy turbine-based flow meter at this site had required replacement several times due to mechanical parts wear; and thus the installation of this 100% solid-state flow meter was intended to alleviate such problems in the future. 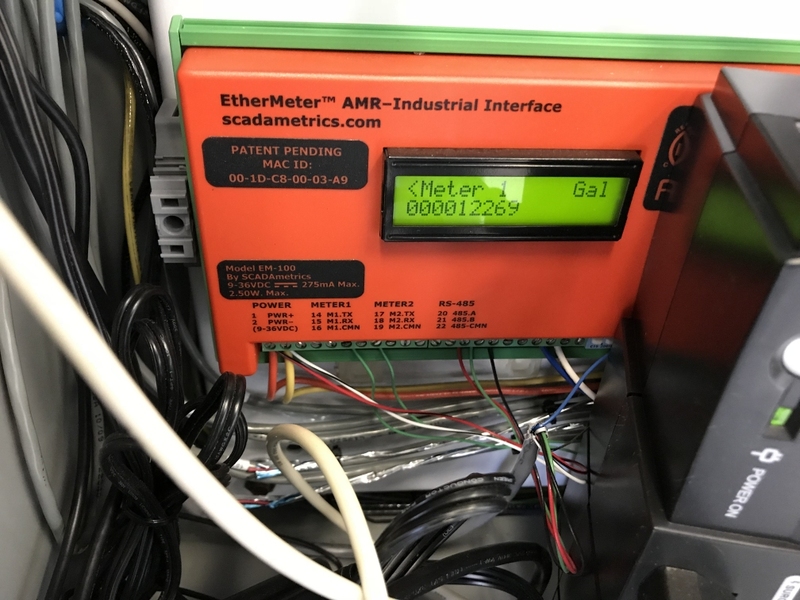 SCADA-Monitored Valve and Master Meter Station. 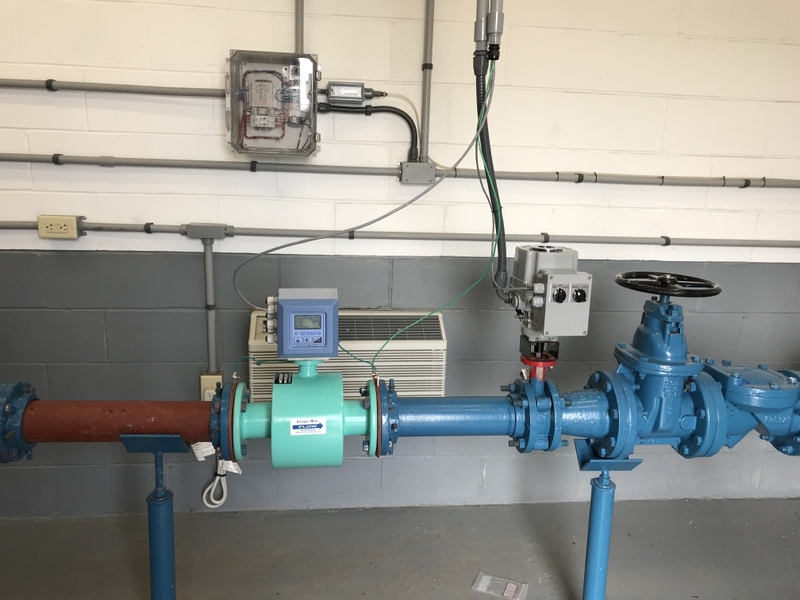 It is important to note that when the UltraMag is equipped with the “SmartOutput” option, then it becomes an AMR/AMI-compatible flow meter, and thus can communicate its Totalizer and Flow-Rate to an EtherMeter-equipped SCADA System or AMR System with Revenue-Grade Accuracy. 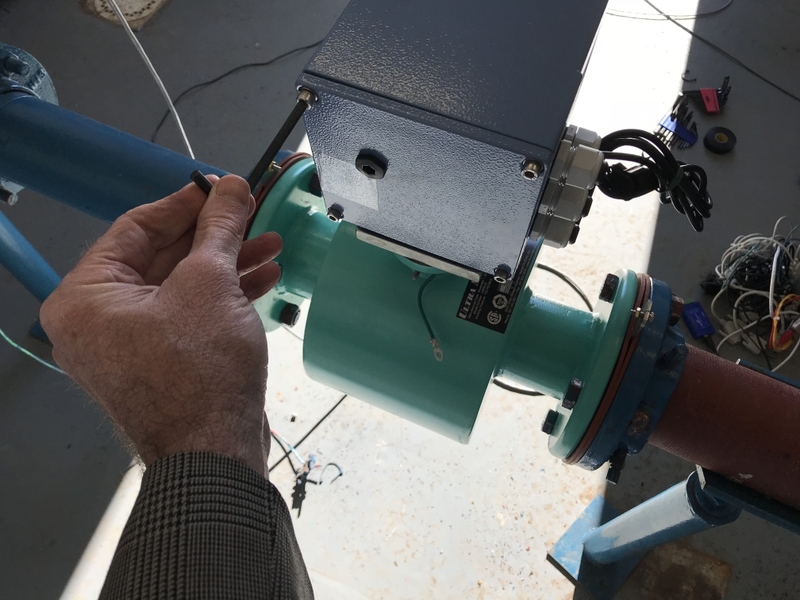 The Flow Meter is Mechanically-Installed, But Not Yet Powered-Up or Commissioned. Note that on both the Upstream and Downstream Sides, a Grounding Ring is Installed (each is Sandwiched Between a pair of Full-Flange Rubber Gaskets). 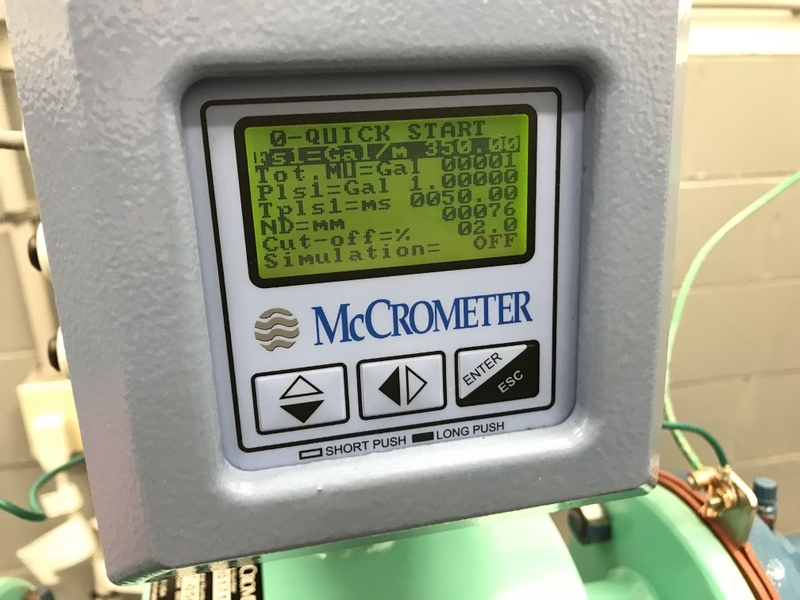 McCrometer Packages Two (2) Stainless Steel Grounding Rings with each (Flanged-Version) UltraMag Flow Meter. The Back Cover is Removed, Using an M5 Hex Allen Wrench. The provided Itron SmartOutput Cable was removed, as our personal preference is to use a single cable for both SmartOutput and Remote DC Power Input. The Power and SmartOutput Phoenix Headers are Removed, and the Appropriate Wires Are Landed. In this case, we are using General Cable C0764A 8-Conductor, Shielded Cable. Smart Output: RED:Meter.Tx, GRN:Meter.Rx, BLK:Meter.CMN. Power: RED/BLK:+24VDC, WHT/BLK:DC CMN, BLU:GND. 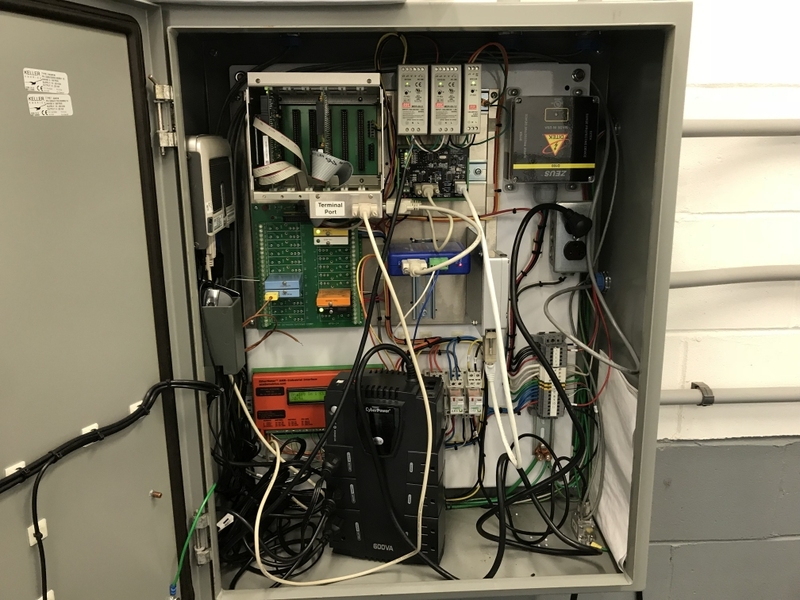 The DRAIN wire and unused conductors (ORG and WHT) were bonded to Chassis Ground in the SCADA Panel, and Clipped in the Meter Transmitter. Note that McCrometer offers a signal that they call “SmartOutput”. This signal is essentially “Sensus Protocol”, and is offered in 6, 8, and 9-digit versions. 9-digits is SCADAmetrics’ preferred configuration. If the SmartOutput must be co-connected to an AMR system, then it is recommended that the user check which configuration is compatible (6, 8, or 9 digits). Re-Insert Phoenix Headers for Power and Smart Output Signaling; and Seal the Back Cover Using an M5 Hex Allen Wrench. Note that the Original Itron Cable is Replaced with Our 8-Conductor General Cable C0764A, which is carrying both DC Power and SmartOutput signaling. Un-Bundle the Pre-Connected Convenience Grounding Wires. Connect One Convenience Grounding Wire to the Upstream Grounding Ring, and Connect the Other Convenience Grounding Wire to the Downstream Grounding Ring. Add a Mechanical Grounding Lug for External Ground Connection at one of the Grounding Rings (e.g. Burndy Part No. KA8CBAG2R). Interacting with the Integral Keypad and LCD Display, Set the Measurement Units (Tot.MU) to GAL 00001. GAL sets the Meter to Gallons, and 00001 sets the Smart Output to Single-Gallon Resolution. The Pulse Output Parameters Were Not Modified, As the EtherMeter is Only Using the SmartOutput, and Not Using the Pulse In This Case. Resolution should be set based on meter size. For 1″ meters and below, 0.1 Gallon Resolution is Recommended. For 1.5″, 2″, and 3″ meters, 1 Gallon Resolution is Recommended. For 4″ and above, 10 Gallon Resolution is Recommended. The Completed and Fully-Commissioned Installation. A View of the SCADA Control Panel – Internal View. Note the SCADAmetrics EtherMeter in the Lower Left, Partially Hidden by the UPS Battery Backup. 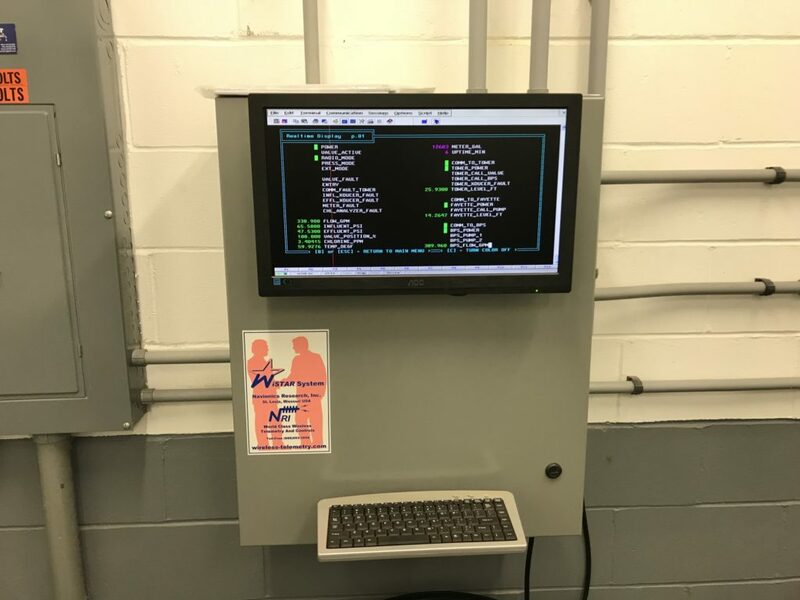 A View of the SCADA Panel – External View. The Connected EtherMeter displaying the Totalization, which is an exact match to the reading on the McCrometer Transmitter. This reading is collected using the SmartOutput signal. 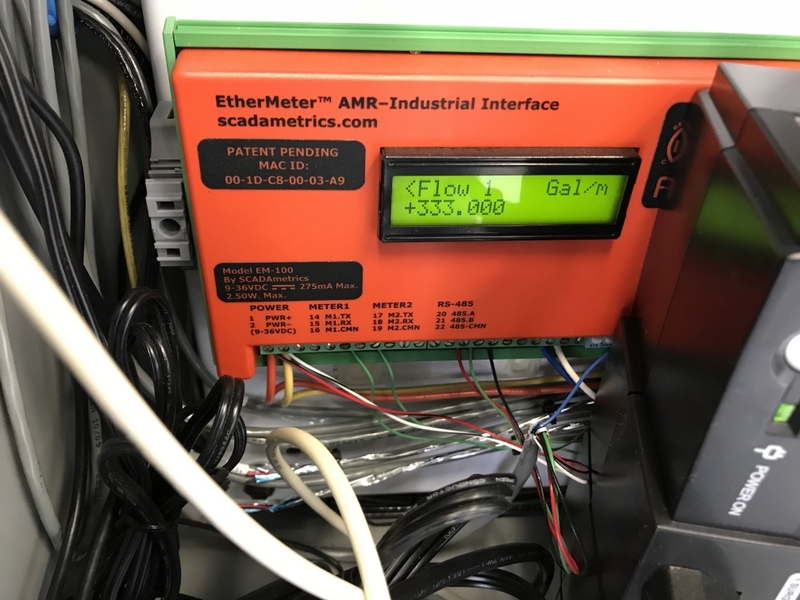 The Connected EtherMeter displaying Flow Rate. This quantity is derived internally in the EtherMeter by calculating delta-Total/delta-Time at periodic intervals. 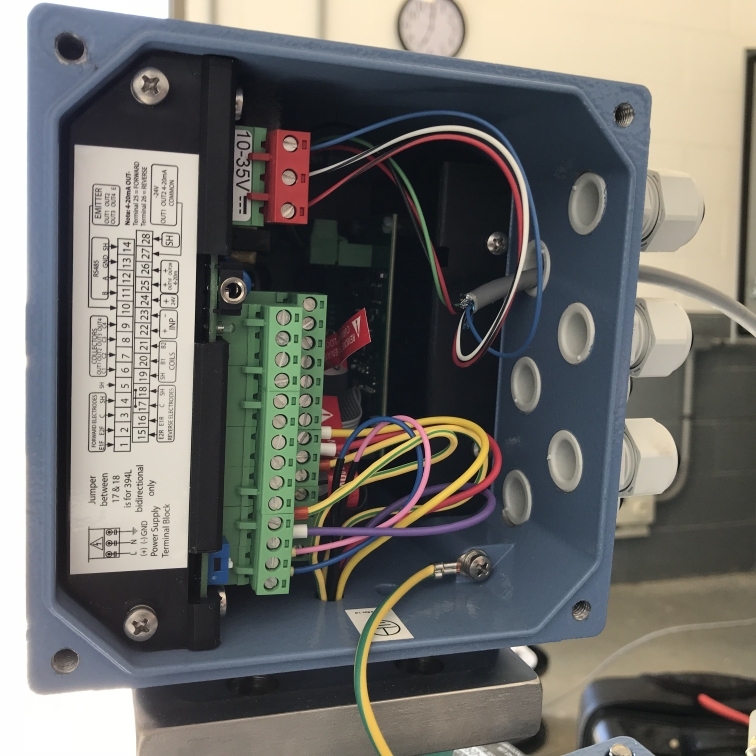 Do you have an application where you would like to connect your flow meter to a SCADA system? 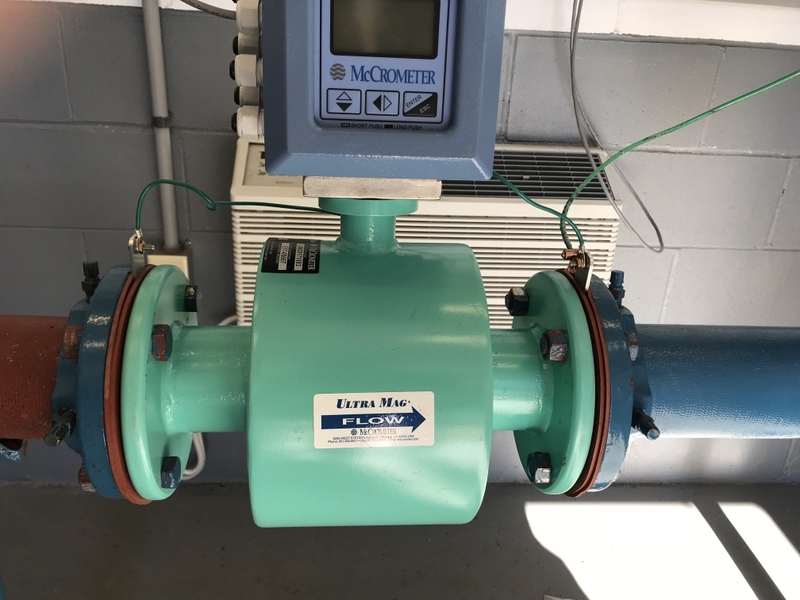 The McCrometer UltraMag flow meter (flanged and insertion models) and McCrometer Propeller flow meters offer industry-standard signal outputs that allow the EtherMeter to tie these meters into Modbus- and Rockwell (Allen Bradley)-based SCADA systems via Ethernet, RS-485, or RS-232 signaling. 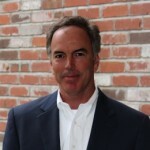 Give us a call… We’ll be glad to discuss your application in detail.